According to online dictionaries, a sonata is a musical piece that is played, not sung. It consists of a solo or small group of instruments. In a ballet story, a solo variation and a hauntingly lovely piano sonata is one of immense beauty to watch. The video below is a lovely example of sonata music. 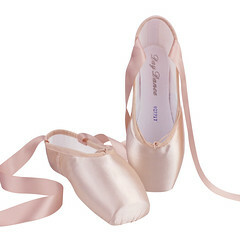 When we think about Sonata pointe shoes, there is one brand that comes to mind; Bloch of Australia. 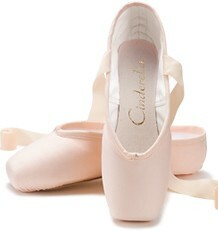 Now there is another Sonata pointe shoe on the worldwide market: the Sonata Presto from Singapore. 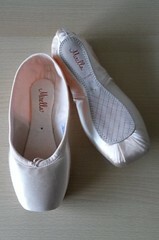 With the Bloch Sonata, Bloch is the brand and the Sonata is the model. Here, Sonata is the brand name and Presto is the model. I was very happy to discover this brand. I was thrilled that this company has a website, a Facebook page, a Twitter account and is on Pinterest. I can only handle so many “mystery” brands a month, so this was a joy. 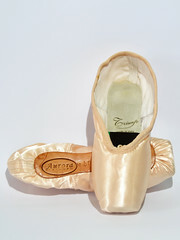 They produce many different types of dance apparel and accessories; including their own pointe shoe model; the Sonata Presto. Although the name sounds slightly like a kitchen gadget , the shoe looks very well-made with pleasing lines. 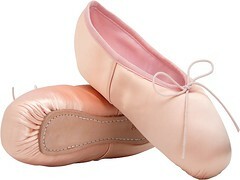 What makes this design unique is the angled side seam construction; a technique that Baryshnikov was also fond of for creating arch-hugging aesthetics in his now discontinued collection. Few shoes have this. 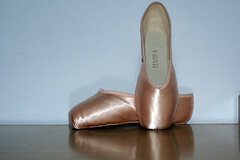 Sonata has an official website you can visit @ Sonata Dancewear.com. They also have a Facebook page where you can learn more about their products. * Perhaps married couples in Singapore have different last names and the wife is a Ms., not a Mrs. Anyone from that area is free to enlighten us, please! 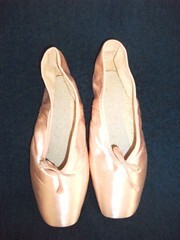 This entry was posted in Singaporean Brands and tagged pointe shoes made in Singapore, Singaporean pointe shoe brands, Sonata pointe shoes from Singapore, Sonata Presto pointe shoes. Bookmark the permalink. interesting about the construction of the shoe, the angled seams and particularly 3 different shanks, they look very nice too. Loved the video also. Loved the video and i’ m amazed at the construction of the shoe. I love your blog and keep up the good work. – Miss. is accompanied by a female’s last name, use to address anyone who’s not married. – Mrs. is accompanied by husband’s last name for married females. – Ms. is accompanied by a female’s last name, use to address anyone who’s married. The information wants to reveal the original last names of both individual, thus the use of Ms. instead of Mrs. If she’s address as Mrs., the female’s last name would not be shown but her husband’s last name would be use.